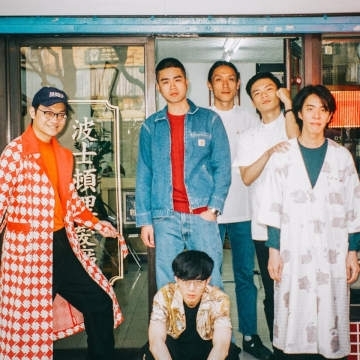 Sunset Rollercoaster is a 6-piece synth-pop band from Taiwan, including members: Tseng Kuo-Hung (vocal/guitar), Chen Hung-Li (bass), Lo Tsun-Lung (drum), Wang Shao-Hsuan (keyboard), Huang Shih-Wei (drum pads/percussion) and Huang Hao-Ting (Saxophone). The band’s latest full-length album “Cassa Nova” was released in 2018, followed by a world tour in Asia, North America and Europe. In the same year, Sunset Rollercoaster joined Rogue Agency and ATC Live to expand its touring presence. With more than 7,000,000 plays on streaming platforms and being featured on Audiotree, Boston Herald, Resident Advisor and Bandcamp, Sunset Rollercoaster is ready to take off in 2019 with a new EP and a new round of world tour.